MailKing — our email marketing software for Gmail — just added email scheduling! Salespeople who want to close more deals by sending bulk email campaigns and staying top-of-mind with prospects. Marketing emails for small companies, contractors, and nonprofits. Avid email users who want to be more assertive with their email sending. And now, you can schedule a date in the future for your emails to send. To use MailKing, first, download the extension from the Google Chrome Web Store. It’s free to use and installs in seconds. 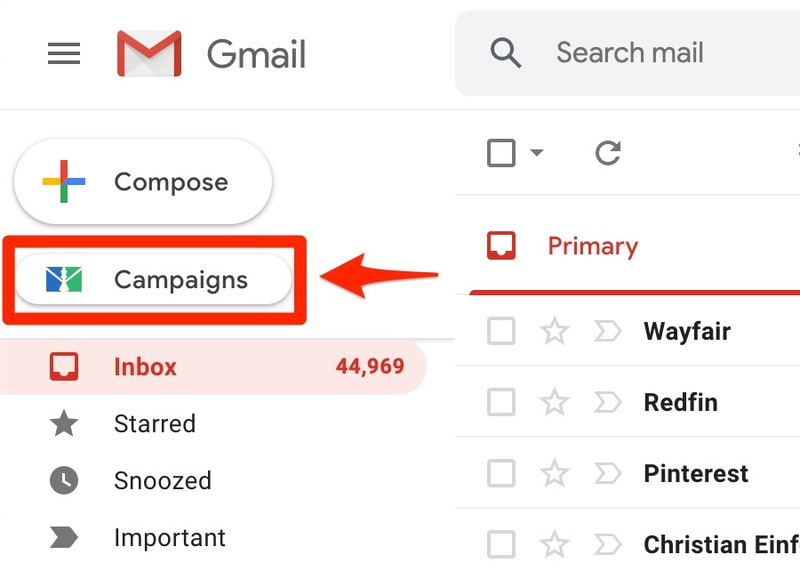 Clicking the icon will prompt you to create a new campaign for your email list, which you can do all directly within Gmail. 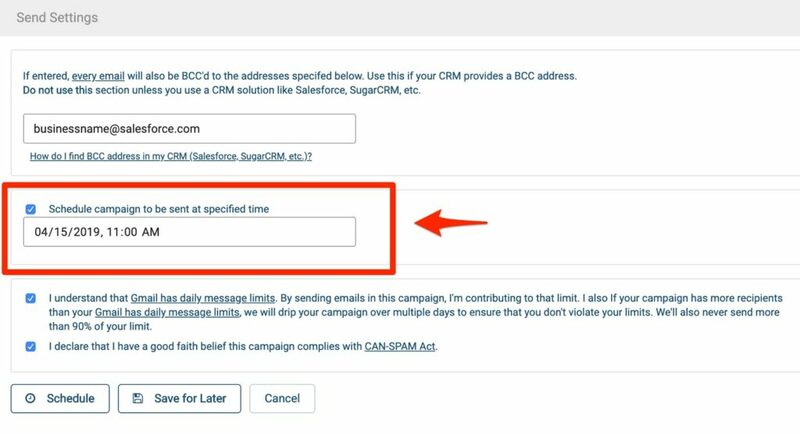 Under “Send Settings,” at the bottom of the popup page, a new option has been added to let you schedule campaigns. Just click the checkbox and add the date and time you want your email to send. Why Should You Try MailKing? MailKing is the easiest way to create and send email campaigns directly from within Gmail. Since the emails come from your personal Gmail account, you’ll get higher delivery and open rates than you would with a third-party service. You can upload your CSV file from MailChimp, Yesware, Salesforce, Zoho, or any other CRM. Personalize mass emails based on name, email address, or any available information with merge tags. MailKing includes a free email template library, or you can import templates directly from MailChimp, or you can copy any email you received as a template and customize it. Automatically follow-up with recipients who don’t open your email within 48 hours. MailKing includes a dashboard that lets you track open rates and click through rates for every email recipient on your list. MailKing is free to use for up to 200 emails a month. An unlimited plan is also available for a few dollars a month. Share it: Halloween is upon us, and if you’re looking for a fun reason to contact your clients, this is a great one to . . .